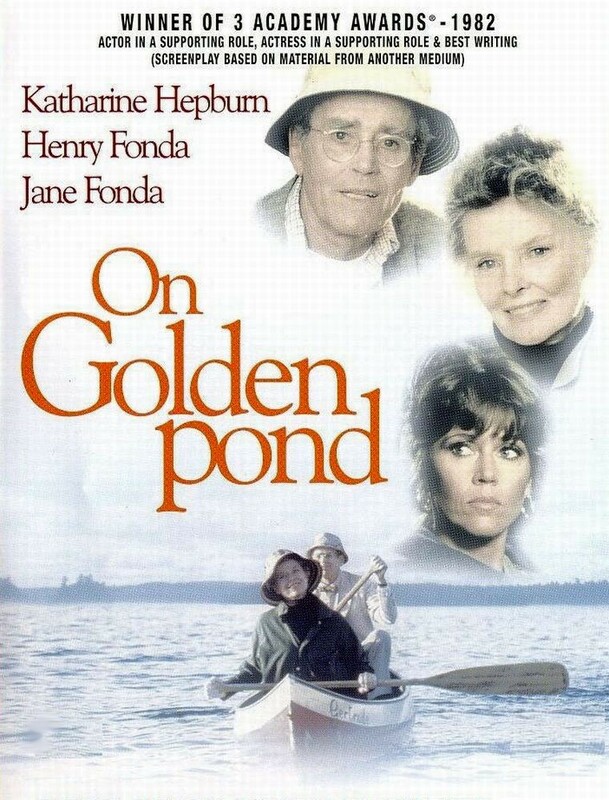 Katherine Hepburn stars with Henry Fonda and daughter Jane in the 1981 classic On Golden Pond. You may need tissues. It is a tearjerker. Here is a link to the original trailer for the film. All classic movies at the library are free and open to the public. The library patio upgrade is moving forward despite recent weather events affecting progress. 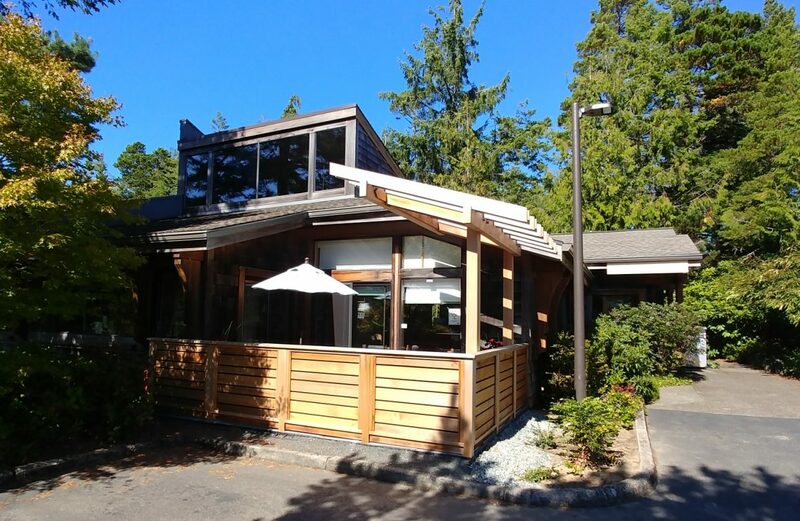 Pavers have been installed providing an attractive walk able surface for patrons desiring an outdoor environment. 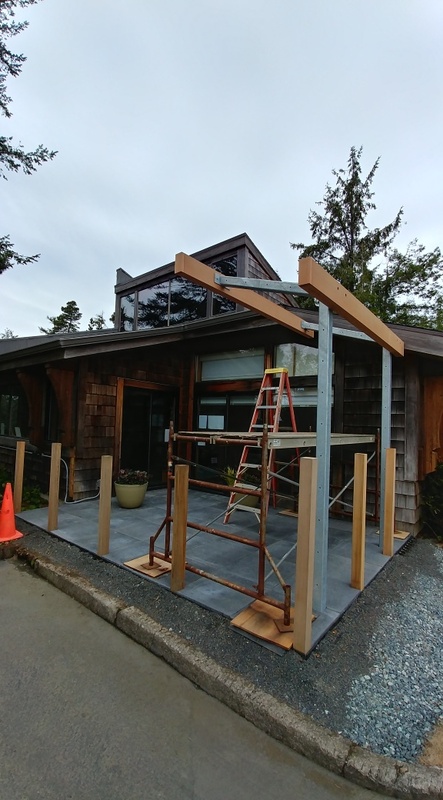 Work is ongoing for the cedar pergola and enclosure, which will help define the space. New parking lighting has been ordered and should be ready for installation in the coming weeks. We are all excited to have this new space useable in time for the warmer weather. 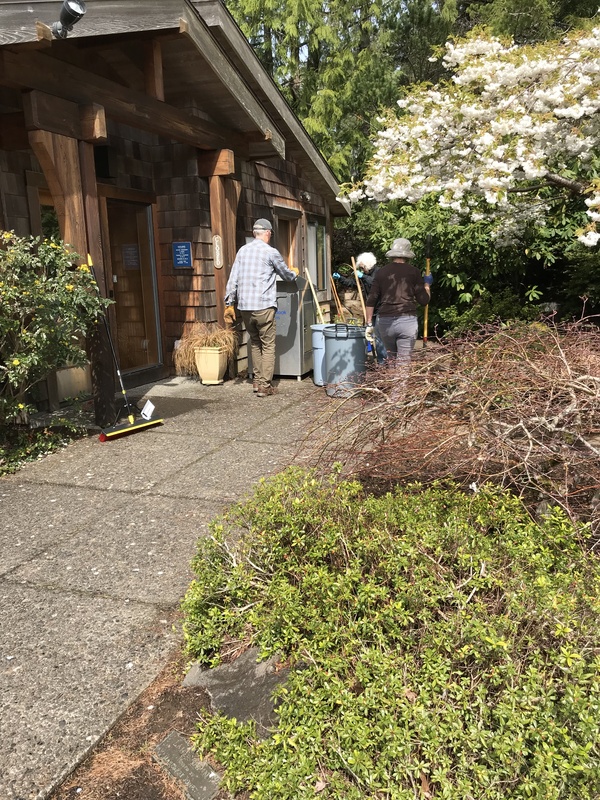 The spring Garden Party Cleanup scheduled for April 8 had to be reschedule due to high winds and rain, but when sun returned the very next day our intrepid volunteers – six in all – gathered to accomplish the cleanup and spread mulch over the garden. Landscape Committee chair Becky Berg thanks all who pitched in to help keep the library grounds looking first rate. For the next scheduled Garden Party on July 1 we will surely have some wonderful weather. By then we should also be celebrating the completion of the new patio under the pergola. Plan on attending – and purchasing – during the library’s annual Memorial Weekend Book Sale May 25-26, 2018. And…America’s Librarian Nancy Pearl will be appearing October 20, 2018 in a wonderful event co-sponsored by the North Tillamook Friends and the Hoffman Center. Thanks to the efforts of our Community Committee the Friends website has undergone an extensive makeover that improves both the look and utility of the site. Please check it out and special thanks to Lynne Gross for spearheading this effort. On April 9, the American Library Association (ALA) released The State of America’s Libraries report for 2018, an annual summary of library trends released during National Library Week, April 8–14 that outlines statistics and issues affecting all types of libraries. The report affirms the invaluable role libraries and library workers play within their communities by leading efforts to transform lives through education and lifelong learning. Read some of the highlights here.